Discussion in 'Amateur Radio News' started by NW7US, Apr 10, 2019. It is my observation that by giving someone a taste of what can be accomplished on the HF (shortwave) spectrum (especially using one of the newer digital modes) that someone has an opportunity for inspiration. Perhaps that inspiration is enough that the prospect catches the HF fever that is required to move that someone from entry-level to experienced, resulting in a skilled expert. Right now, the regulations limit the Technician-level license holder to digital operation only on bands that barely propagate (if at all!) during the weak solar cycles. It is a far stretch to postulate that having privileges on dead bands will inspire exploration and tempt the operator to upgrade to a higher license class. I believe that Technician-class priveledges should be expanded so that entry-level amateur radio operators can get a practical taste of effectively-propagating HF signals on lower frequencies than those frequencies currently available to them for digital operation. And, the allowed mode on these subbands should include digital modes. This "would encourage a sustained interest in Amateur Radio and encourage further development of knowledge and operating skills," a concept already proven by General-class operators that get enough of a taste that they then pursue the Amateur Extra license. Some comments to me are below the following video section. I also include my response. In the following video, I share my opinion regarding the ARRL asking the FCC to grant more operating privileges across the many amateur radio allocations on shortwave (HF, or, High Frequencies). The video is my brief takeaway of ARRL's petition: What is the issue, as a whole, and what the ARRL is addressing--the lack of desire by most current Techs to upgrade. The logic of my perspective concludes that if you give them a taste of lower-shortwave propagation and excitement, then they will want to upgrade. This logic is already proven as applicable by the fact that the General class exists. All this proposal will do is allow the tech to experience what could be very attractive. Just like for the General. I made a few technical mistakes in the first video. The last video contains corrections and further comments. Dear Tomas David Hood: Something for absolutely nothing has never taught anyone anything good, but to want another free lunch. 35 multiple guess easy questions was all that was asked to get general class privileges, but that's just too hard for the current class. Something for nothing is what sell today, and the ARRL, and probably half the country thinks socialism is the way to reach the new hams I guess. But the ARRL will never get another dime from me. You want a trophy or additional privileges, Get them as everyone else did. Work for them, study, just a little is all that was asked. Remember, If it didn't cost anything, it probably isn't worth anything! If they are not willing to take a simple test, and yet they want to upgrade, then yes they are the same as saying that we are asking too much, but would participate, you are suggesting, as long as it didn't require any work or effort on their part, Its a shame.. And I am embarrassed on their behalf... Alexandria Ocasio-Cortez could pass that test, but she would probably agree with you, that people are asking them to be smart and study, and that's somehow probably racist and just over the line for you. At this point the ARRL should just say, we are not protecting the spectrum, but about selling the ham radio spectrum to the highest bidders. In this case, they believe that will be the techs who will purchase HF gear, and of course, the ARRL will benefit hugely from the equipment makers desire to market to the group. What the heck is wrong with selling radios? But, seriously, which of the many Technicians say that they want to upgrade? That's the point: the majority of Technician-class amateur radio operators are not upgrading. They get on VHF and above, and are stationary, with few realizing that there's so much more than the aspect of the hobby evident in their local community. With little to no exposure to other aspects of the hobby, the typical ham in the current ham-radio culture settles for what is presented by local mentors. Weather spotting, DMR, etc. Because they have current HF privileges that have so little practical use (e. g., CW only on lower frequencies; voice on 10 meters which doesn't propagate well during this period of no sunspot activity...), they see no incentive to delve into what appears like a waste of time. The proposal is not giving away the farm. It simply adds a small slice on a limited set of HF bands (but where a signal has a better chance of propagation), allowing for Technician-class operators to get a real sense of the potential waiting for them if they pursue the General. Then, once upgraded to General, they get even more exposure, and hopefully, see why it is great to be an Amateur Extra. Tomas David Hood, you asked, "what's wrong with selling radios?" Nothing at all, but if I removed the test that drivers take to show they understand the rules and how to drive, then I can sell more cars and more insurance to poor drivers. Do you or anyone else think that's a good idea? A few tech's putting their hands on the plate of those high voltage amps, and maybe, just maybe, someone will believe me when I say some basic testing should be required for HF privileges. Now, all they will have is a cereal box license in my book, and in the opinion of many of my friends, so it's not just me. If I am wrong, then there are a lot of people that are wrong like me, and they will fight for there hobby. I am an ARRL VE, but I will never test another Ham if this goes through, and I will spend the rest of my days making sure any newcomers realize what the ARRL did to what once was a good hobby, and how a few people didn't seem to understand why giving away free privileges is always bad for our society, and always bad for our hobby. Actually, I have a real case study that is local, and yes the guy did put his hand on the plate, and yes he hit the floor.. and yes, after I found out he was ok, I think it's plenty funny, Yes, they need to study more than that. Your argument that Technician-class operators will kill themselves because the test is so easy that they will end up electrocuting themselves is yet another Red Herring. Technicians play with dangerous VHF, UHF, SHF equipment, with ominous dangerous aspects deserving respect. If you really think that the General test is the difference between life and death, why even worry? The number of technicians will be nicely reduced to a more acceptable, comfortable number. I've seen Amateur Extra-class operators do the same sort of dangerous, life-threatening stunts. The issue you are highlighting is a different problem that must be solved separately from the idea of creating a more practical incentive; all tests should be improved in such a way as to foster greater technical knowledge and awareness of all aspects of the hobby. Better mentoring. Less us-vs-them. More education. More community. All of these should be explored and enhanced. Solve the problem, instead of ostracizing. And, realize that this proposed change is NOT a dumbing-down maneuver to give away the ham radio hobby to the unclean. NJ1S and KK6JKC like this. Is there any particular reason you started a new thread on a subject that has been been on this forum for quite a while? N9YB, NK2U, N9NY and 12 others like this. I believe that every driver that acquires a learners permit by passing a 35 question exam on rules of the road should be allowed to drive any motorized vehicle, including buses, tractor-trailers, motor cycles and limousines. This will encourage further development of driving skills and a sustained interest in the transportation industry. N2IPH, KD4ISM, N4ENE and 22 others like this. We have already been here. Similar events in amateur radio history have led to the elimination of the novice and advanced class license. Along with those and the elimination of cw poor behavior has become so common on amateur radio that it's quickly becoming accepted as part of the master plan. 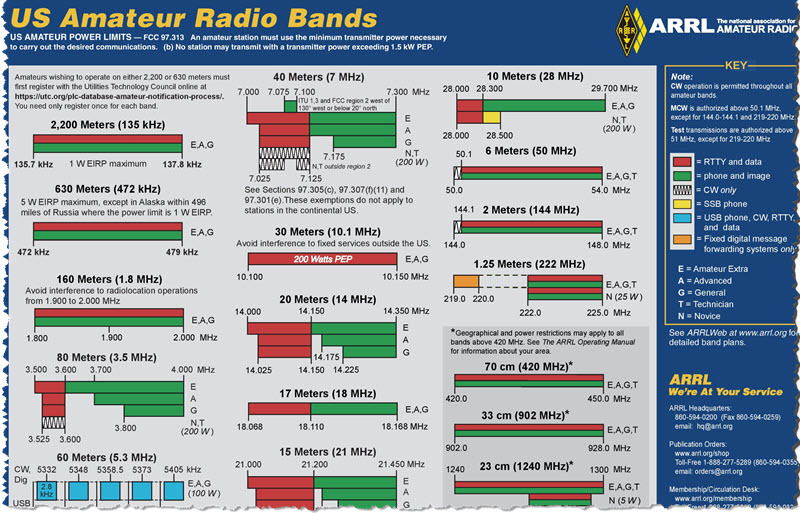 I strongly support the advancement of amateur radio, however, there has to be a better way. The best and most prized attributes in life are earned. Things given are seldom cherished with the same enthusiasm. K8AI, KE8LRC, KD0QG and 23 others like this. The opinion of someone who takes videos of himself while on the road driving a car is an opinion I don't take seriously. KD5RJZ, KI5AIU, KD9FEK and 31 others like this. W0PV, KA7CCP, KD2BRM and 3 others like this. The ARRL is promoting that a "License" is a "Participation" license. Not and EARNED License. I believe it is all about money. N2IPH, WD4DXQ, W0HR and 31 others like this. W6MQI, KC4V, N9NY and 8 others like this. "HANG UP" and >>>DRIVE<<< SPARKY! KC1DR, NE5TH, KG7LGG and 12 others like this. Well, the OP I believe is a CQ Magazine columnist. Therefore he is a ham radio celebrity. Sort of like an "instagram influencer", but for ham radio. NK2U, KC2DHU and NU4R like this.